This article provides instructions for viewing your CodeHS graphics or react native program on the iPhone Expo app. If you are using Android, view Android instructions here. This article assumes that you have already created the QR code for the app that you are trying to view on your phone. If you do not have a QR code and you are in the editor take a look at the instructions here. 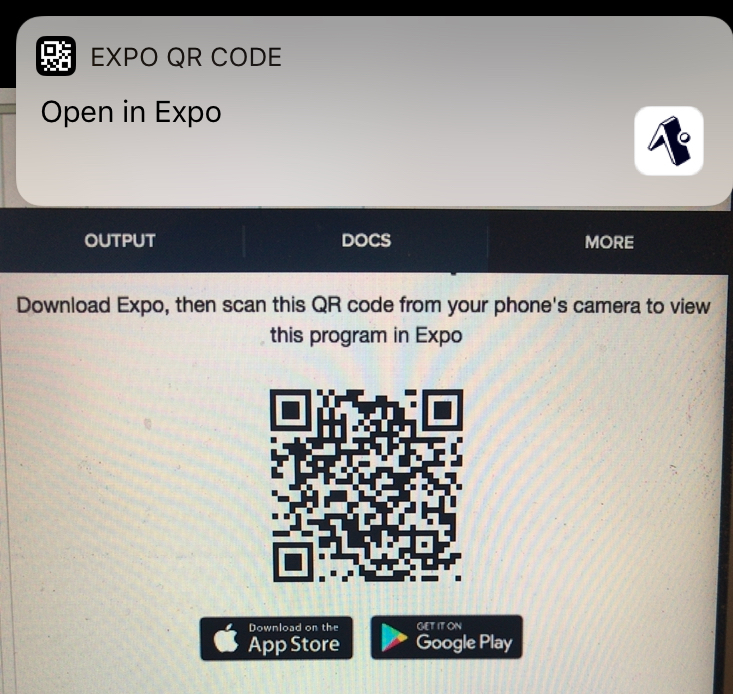 You can download the Expo app on your iPhone here. To view the program you've created as an app, simply scan the QR code for your program from your camera. 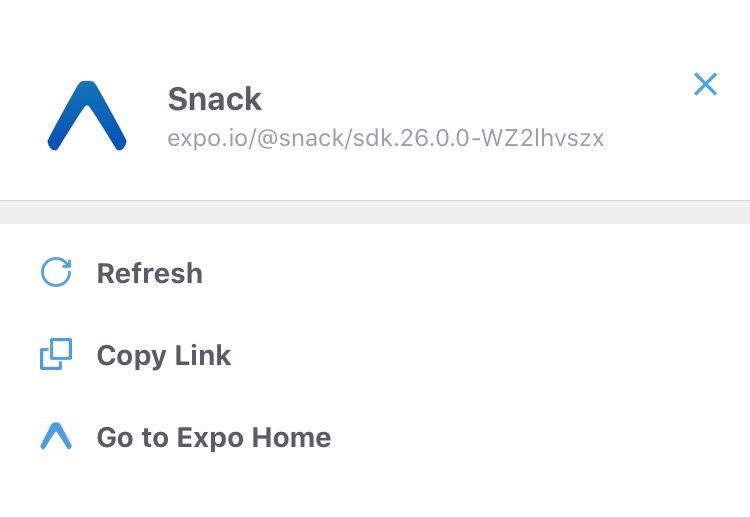 If you currently have an app open and want to refresh the app you will have to go back to the Expo menu. To view the Expo menu, shake the phone. You will be shown the following menu. Here you can refresh the app to see any updates.